The farm cats were very interested in the strange object they found in the middle of the driveway on a rainy day. 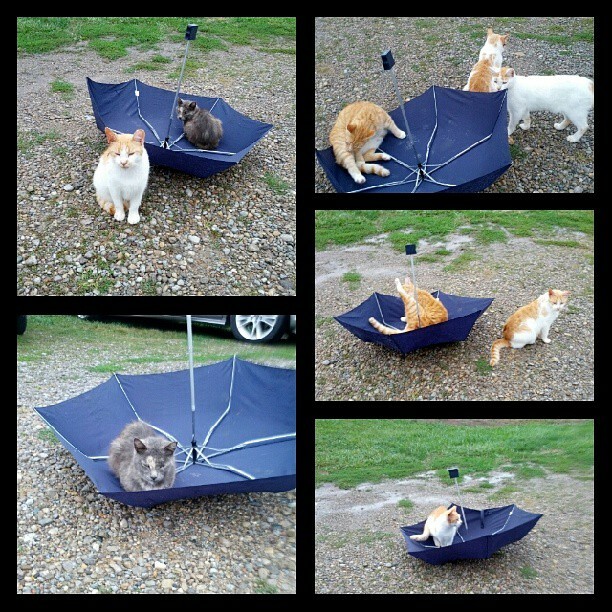 All of the cats found different uses for the umbrella- none of which actually kept the cats dry. Some cats found it a suitable resting spot, other cats thought it was the perfect location for a bath and others just thought it was a new toy.